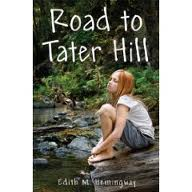 Today’s author Interview is with Edith M. Hemingway, author of Road to Tater Hill. I met Edith aka Edie at an SCBWI event in October. Edie was our teacher for the day. She talked about many great things especially settings and what makes them great. I enjoyed every second of Edie’s mini workshops and knew immediately I wanted to purchase her book. But, I couldn’t just buy one. I needed a second copy to give to my readers (yes that would be you). So, sit back and read another great interview and don’t forget to leave a comment at the end so you can be entered for a chance to win a signed copy of Road to Tater Hill. Hi Edie, how are you today? Thank you for stopping by Writing Like Crazy. Edie or would you rather we call you Edith? All my friends call me Edie. Can you tell me when you fell in love with writing? I had a wonderful fourth grade teacher, Mrs. Virginia Ormsby, who was a published children’s book author. She read her manuscripts to our class before sending them off to her editor, and she set aside quiet writing time after lunch everyday. I won a creative writing contest that year and decided some day I would be a published author. 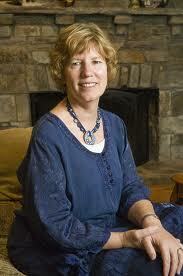 I’ve had other teachers who have inspired me since then, but Mrs. Ormsby was the one who planted the seed. When did you decide that you wanted to pursue writing professionally? As I mentioned above, I first decided to pursue writing back in fourth grade, but for many years it took a backseat in my life. I got back to writing in my 30s when I had young children at home. My first co-authored book, Broken Drum, was started in 1989 and published in 1996. I’ve been writing steadily ever since. If I remember correctly, I think you mentioned that you met your agent at a writer’s conference. Can you please tell us a little bit about this meeting and how it set things into motion? Actually, it was my editor at Delacorte Press/Random House, Michelle Poploff, whom I met at a SCBWI conference in Maryland. She critiqued the first 10 pages of Tater Hill (my working title at the time) and asked me to send her the entire manuscript when I finished it. Nearly a year later I sent her the completed manuscript and after several telephone discussions about revisions, she offered me a contract. I never submitted it elsewhere. It was one of those amazing contacts that aspiring authors dream about. Okay, let’s get to Road to Tater Hill. This book deals with a young girl named Annie who starts off being excited about the birth of a new sibling but ends up having to come to terms with the baby’s death. In the beginning of the book you write in memory of my baby sister Kate. Did your experience with losing your sister (I’m truly sorry for the loss) inspire this story? Yes, that experience during the summer I turned eleven left a lasting emotional impact on my life. Near the start of my MFA program, I had an assignment to write about an emotional event in my childhood. The resulting ten-page memoir later became the basis for Road to Tater Hill, which includes many events from my childhood (not all experienced during that same summer) as well as some fictionalized events and fictional characters. I realized that a plot had to involve more than just my grief over the loss of my baby sister. Can you tell us a little bit about Annie’s character? Annie began very much as I was at that age, but when I was several chapters into the book, my faculty mentor in the MFA program suggested I change from first person POV to third person in order to give myself a little distance from my character and the emotional events. This advice allowed Annie to become a character in her own right, and she became a bolder, more adventurous girl than I was–much more interesting, I think. It wasn’t until I was in my final round of revisions with my editor that I had the idea to switch back to first person POV in order to dig a little deeper into Annie’s emotions. I’m glad I did. In the mini class I took with you, you passed around a rock and had each of us hold it. Annie is attached to her rock in this story. How did the idea of the rock baby come to you? The idea for the rock baby actually evolved from the scene I was writing. It’s amazing how characters take on lives of their own the better you get to know them, and sometimes do things you don’t plan or expect. The rock baby became a tangible means for Annie to deal with the loss of her baby sister and was very much a part of the healing process. Plus, I have to admit I love rocks–maybe I was a geologist in another life. I love that Annie journals throughout the book. Do you journal? I have journaled on and off throughout my life–mainly when traveling or when going through a difficult or unusual time. I have used those journals as a source for descriptive details of different settings and emotional situations for a number of different stories. I still have the journal I kept when I was 14 and traveling through Europe with my parents and brother. It was actually a school asignment to keep the journal since I was out of school for 6 weeks. I’m amazed at the details I included in those daily entries, and it’s fun to look back at that exciting time in my life. There are a lot of memorable characters in this book, especially Miss Eliza. Would you mind telling my readers a little about the mountain lady? Miss Eliza is the one truly fictional character in Road to Tater Hill, but she has some of the heartwarming characteristics of a lovely mountain woman, who was a dear friend of my grandmother. That friend was a weaver, and I used to sit in her home and watch (and listen to) her working away at her loom. I also wanted to incorporate more of the Appalachian mountain heritage into Miss Eliza’s character, so as I got to know her better, I realized that she also played the dulcimer (better known as the “hog fiddle” in the book). I won’t tell any more about Miss Eliza’s character because I want the readers to learn her story as the book unfolds. Do you have a favorite character in the book? Miss Eliza is definitely my favorite character in the book, but Grandpa is a close second and the one truest to life. My grandfather really did waltz with me, just as Grandpa waltzes with Annie in the book. In your class you spoke about the importance of setting. Can you let my readers know some of the things you do to familiarize yourself with your books settings? You gave great advice that stuck with me. Setting is very important to me, both as a reader and as a writer. I like to make setting integral to my stories, and I always travel to the places I write about because it’s not enough for me to research online or in books. I want to smell the smells, taste the food, walk the roads and paths, touch the trees, meet the poeple, listen to the way they talk, and so on. I always advise writers to look at setting through the eyes of their characters, look for specific details that their characters would notice, and let the emotions of their characters help dictate how they react to the setting. I also remember talking about the cover in your class. What was your first impression of the book’s cover? Many people think that authors have a say in the design of their book covers. In most cases, they do not. However, my editor did ask me for my thoughts, and I wanted it to reflect Annie’s love of the mountains and the creek. I also hoped that the cover would not show Annie’s face because I like readers to come up with their own image of what they think the main character looks like. So my first impression was that I loved the picture of Annie sitting on the rock by the creek, but I was disappointed that it showed her face. However, I have come to love the cover, and I know the art director read the book and worked very hard to find a young girl who fit Annie’s description very well! Road to Tater Hill won a Parent’s Choice award. Can you tell us how you felt when you received notification that your book won such a great award? I was very excited about this honor and happy to know that not only the intended audience of 9 to 12-year-olds liked the book, but also parents and other adults of all ages. I think part of the draw is the intergenerational plot. A school in Boone, North Carolina (the actual setting of the book) used Road to Tater Hill as their family reading project last year, and families (including children, parents, and grandparents) read the book together and then came to a group discussion that I led at the end of the 5-week project. Congratulations, that’s a huge accomplishment. What is the biggest emotion readers of Road to Tater Hill walk away with? Do you have any upcoming books? I am working on a book set on an island off the coast of Maine, and I have a number of other story ideas brewing in my head. In addition to being a successful author, you find time to teach workshops to aspiring authors. How did you begin doing this? Where can my readers find more information about your workshops (which are great)? cabin home was the perfect writing retreat, I came up with the idea of teaching writing workshops in my own home. However, in the last few years I’ve been so busy as the Co-Regional Advisor for the MD/DE/WV region of SCBWI that I’ve taken a hiatus from the home workshops. And I have recently joined the MFA faculty at Spalding University. I love the teaching and will be on the faculty at their residency abroad in Ireland this summer. Do you have any advice for aspiring writers?Read, read, read! The best writers were avid readers first. And advice always comes back to the fact that you first have to sit down and write. Once you have that first draft on paper, then the real meat of writing begins. Don’t be too quick to submit your work before it’s been through a number of revisions, and you’ve had some feedback from readers/writers whose comments you trust. Okay, I like to end my interviews with some fire questions, I hope you’re ready. 1. 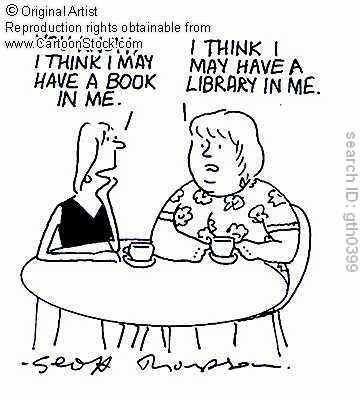 Do you have a favorite author? Richard Peck, Deborah Wiles, Audrey Couloumbis, Gary D. Schmidt, Katherine Paterson, Patricia MacLachlan to name a few. It’s very difficult for me to narrow it down to one because I’m always finding another good book to read. 2.What is the first book you remember falling in love with? 3. Do you have a writing spot? 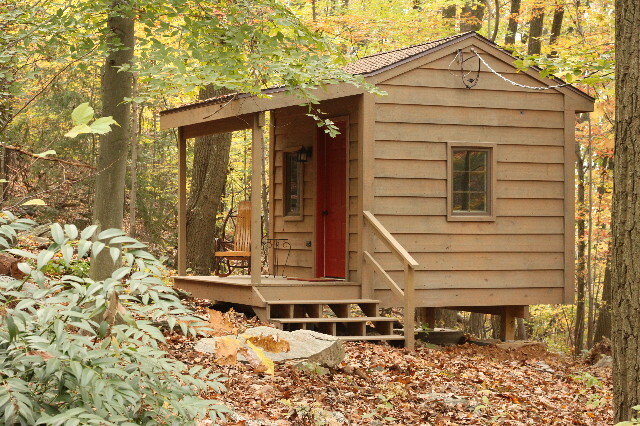 I have a wonderful little writing cabin that my husband built for me in the woods behind my house. I’ll attach a photo. 4. Have you ever written down an idea on something odd? (I once wrote an idea on a matchbook because there was no paper to be found) Well, I’ve definitely jotted notes and ideas on napkins or any little scrap of paper I can find in my purse. I generally try to keep a small notebook with me–especially when I’m traveling, and I’ve emailed notes to myself on my cell phone. 5. Finally, do you have a favorite word? (Mine is Believe) I’d say “connections.” The connections you can make in a writing community are amazing! Please let my readers know where they can purchase your book. they can find you, blog, twitter, facebook, web page, etc? My website is www.ediehemingway.com. You can find me on FaceBook, but I’m afraid I don’t spend much time there. I’m a contributor to the One Potato…Ten blog, which is a wonderful group of 10 authors and illustrators found at onepotatoten.blogspot.com. And you can buy my book through Amazon, Random House, or ask for it at your favorite indie bookstore. I loved reading through all of your answers and can’t wait to give one lucky reader a signed copy of Road to Tater Hill. Thank you for taking time to chat. Thank you very much, Maribeth. I’ve enjoyed it! Hello writers, do you know what today is? It’s November first which means, it’s National Novel Writing Month. It’s your chance to write 50,000 words in thirty days. I’m not participating this year but I am currently editing my young adult novel that I began writing two years ago during Nanowrimo. My story goes like this; I was in the midst of writing a middle-grade fantasy novel. I had it completely outlined. The characters were in place, settings were created and ending was known, when I received a challenge from my sister-in-law (who also happens to be my writer bff). She had recently decided that she wanted to get back into writing and thought Nanowrimo was exactly what she needed to get her fingers typing. But, she wanted someone to do it with her. I kicked the idea around for a few days but knew I wasn’t going to use my wip (The middle-grade fantasy) because that would sort of be cheating. Ironically the night before November first I had a crazy dream. As I was writing the details of the dream into my journal, it hit me. Use this dream to base a new novel on. And so, my young adult novel was born. I don’t think I achieved the fifty thousand by the end of the month but I did finish a novel which I’m super excited about. Yes, it’s two years later and I’m just now getting it ready to query. It was the first novel I wrote organically. I let it evolve naturally and the result was better than I could imagine. 2. Put a motivating quote in front of you each day. 4. If you aim for seventeen hundred words a day, you will meet your goal. 5. Surf the web for others who are also participating. It’s great to have a cheering section. 6. Read about Nanowrimo success stories. Every time you feel like quitting, remind yourself it worked for someone else. 7. Keep repeating this sentence- By the end of this month I will have written a novel. 8. Crank up the music. Music helps you get into the groove and may spark an idea. 9. Listen to the small voices inside your head; they are your characters dictating the story to you. 10. Search for your congratulatory gift to yourself and when you complete Nanowrimo, go buy it. Good Luck everyone! Leave me a comment telling us whether or not you’re participating. If you’re this year, have you ever? About a year ago my husband bought me a Kindle for my birthday. I was thrilled. Getting a Kindle meant I was going to be able to purchase a book faster than it would take me to walk from one room to another. I would no longer have to wait until I got a chance to get to the book store. I had stories at my fingertips. Before getting a Kindle, I often wondered “Would it feel natural? Would I be distracted by the fact I wasn’t physically turning a page?” I was happy to discover that nothing about it felt awkward. One day in the middle of reading a great book it happened. My Kindle died. (I hadn’t realized the battery was low). I stared at the black screen and cursed it and myself. Now what was I going to do? I wouldn’t be able to get back to that great book until I charged the Kindle. As I walked into my writing room to retrieve the charger I glanced at my beautiful bookshelf and instantly became sad. I realized that I still loved the traditional book and felt bad for abandoning it. I sat in the chair and thought about all the books I have read and started to make a mental list of why I loved the traditional book. First off, I simply love what they look like. I love seeing them lined up together on a shelf. I love the book cover (yes on Kindle you can see the cover but I still don’t think it’s the same). I love the colors of the covers (I know now I’m sounding “out there,” but I do.) Other than the appearance I love the feel of a book. I enjoy turning the pages. I love being able to see the thickness of the pages I have already read. I like flipping ahead to see how far I have to go and wondering how long it will take me. I especially love how worn out my book looks by the time I’m done reading it. I am always surprised when someone loans me a soft covered book they already read and it’s in impeccable condition. My paperback books are frayed, bent and ripped. Looking at them reminds me that I escaped to a place that someone else created. It’s concrete. It’s there as a reminder for me and as an example for my children. A worn book shows them that it was read and may inspire them to wear out some books of their own. You see, I love them both. I think I can be loyal to both of them do you? Do you think a writer needs to go on a diet? A writing diet that is. Check out my guest post over at This Literary Life. Bree Ogden (a super agent) was cool enough to allow me to write a blog for her site. It is the first time I have written for another blog as a guest and I’m super excited. Make sure you leave a comment so I know you stopped by. I have been soooo consumed with life lately and my blog has suffered. Plus, my two-year old stepped on my laptop and cracked it. 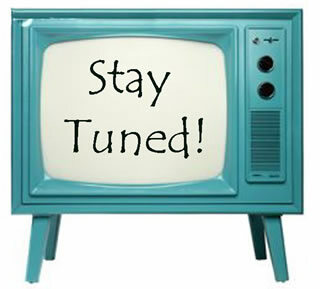 Anyway, I will be returning soon with an author interview that I’m very excited about. Sorry for the absence. What’s a writer to do when life becomes extremely hectic? When I was a little girl, I spent time singing songs with my father. One of my favorites was “The Bear Went Over The Mountain.” I loved the tune of the song but didn’t understand why we had to keep singing the same lyrics and why the bear never saw anything other than another mountain. The other day I found myself singing this song and for the first time, I realized exactly what I was singing about and how it could pertain to me the writer. A writer is constantly climbing mountains only to get to the top and see there is another mountain to climb. Think about the process of writing. An idea is sparked (Woo-hoo! Something is brewing), you feel inspired. You are thrilled that you have found something to write about. You take that idea and begin creating a story. All the thoughts that percolate in your head are exciting and you think this will be easy. But then, you hit a snag. The idea that seemed so simple is not flowing as effortlessly as you imagined. You come to the realization you have just climbed your first mountain. The only view from the top is another mountain. You scribble down an outline. Fill in the blanks (High five the imaginary editor in your mind) and bang your story out. Seeing your thoughts manifest is thrilling. You complete the story and let it sit for a few days. After some time has passed, you pull back out your work in progress and see errors that must be fixed. You edit, reedit (Try to shut up the loud shouts of self doubt echoing through your head and attempt to give yourself your millionth pep talk). When all is said and done you pat your self on the back for reaching the top of that mountain. It’s time to start querying. You replenish your dehydrated mind and begin submitting. You feel pumped. Surely, someone will see the brilliance in your work and offer you representation. Days turn into weeks which turn into months. The smile that was decorating your face has been replaced with a frown. Rejections pour in and self doubt revisits. You are about to give up when an unexpected e-mail arrives and you are invited to send your full manuscript to a very cool agent. Where are we at? The bottom of another mountain getting ready to climb back up hoping when we do we will finally see that magical land we have been searching for. When the “super cool” agent ends up rejecting your manuscript, you feel like you just fell off a cliff. You pick yourself up and begin scaling again. A writer is never done. Their journey is long, the hills are endless, and the destinations are not known. Once you reach one goal you immediately must set another one. 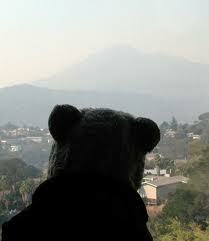 We must be like the Bear. We must keep climbing. Share with us a moment when you reached a goal in writing. What happened once that goal was met? Did you climb another mountain?